Revamped and Vamped up: Vamos BoCHINChe! Tucked in a quaint little neighbourhood at Martin Road, it is not easily accessible by public transport, and with no distinct signboard, it took our Uber driver a couple of minutes to pin-point “22 Martin Road”. However, for this gem known as BoCHINche, for lacks in accessibility, it more than makes up for in its food authenticity, bold flavors and choices. 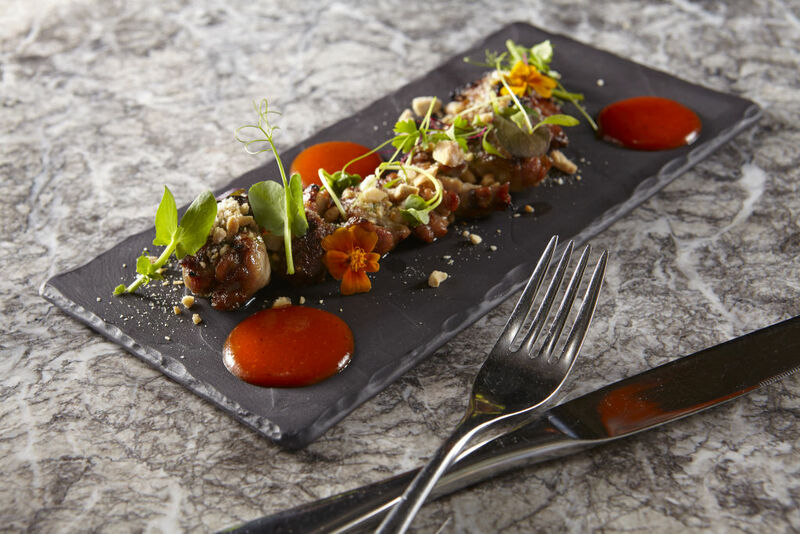 Since Popspoken’s previous outing to the Argentinien joint, they have sliced and diced their already amazing menu, and introduced the growing trend of a Small Plates Sharing Menu. Not that we are complaining – they have managed to decipher the science behind this concept, and serve up portions are are perfecto for groups of between 3-4. Not too much, not too little, but satisfying. While we were treated to what seemed to be an endless stream of food, we’ve tried our very best to narrow down our Top 3 of the night. Also, you know how deceiving food pictures on menus and websites can be? Well, we decided to put it to a test – with a side-by-side comparison of the official photos VS how they look like in real life through the lens of our trusty iPhone 6. And we got to say, BoCHINChe really delivers. 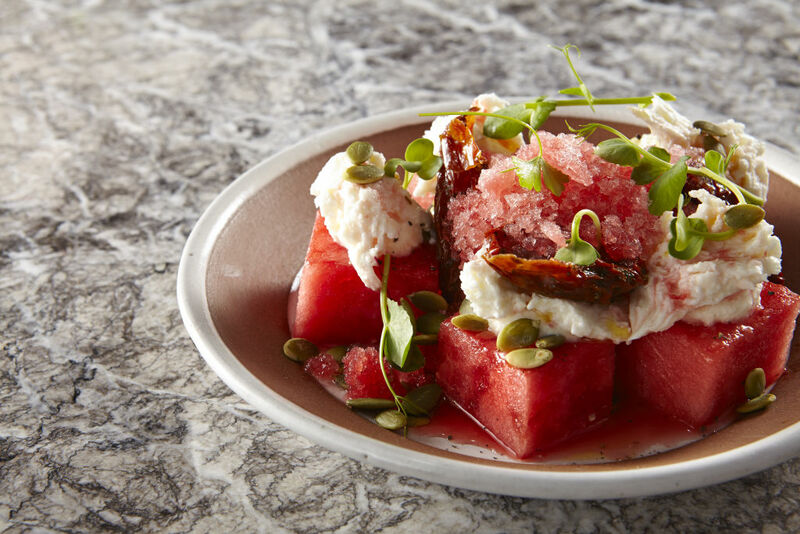 The first plate that arrived at our bar seat was a refreshing watermelon salad, topped off with mozzarella cream, tomatoes and pumpkin seeds . At first, it seemed like an unusual choice to make a salad from, but once it hit our taste palettes, it all made sense. 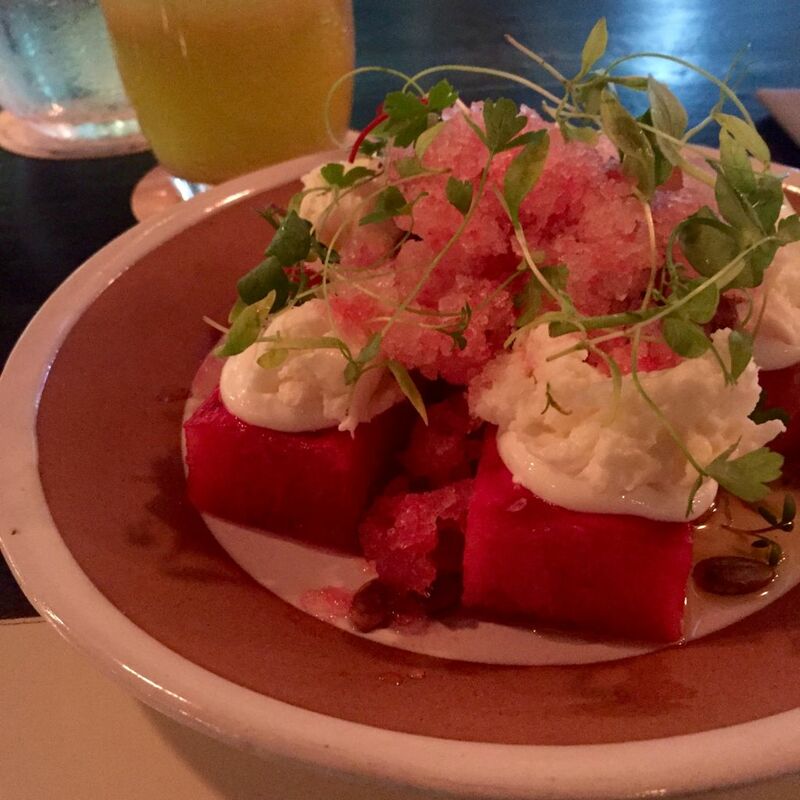 The lightness and fluffiness of the mozzarella cream perfectly complemented the juiciness of the watermelon. The salad was perfect respite from the recent heat waves and haze. Easily one of our favourite dish of the evening. The veal sweetbread was of such tenderness that it melted in your mouth. 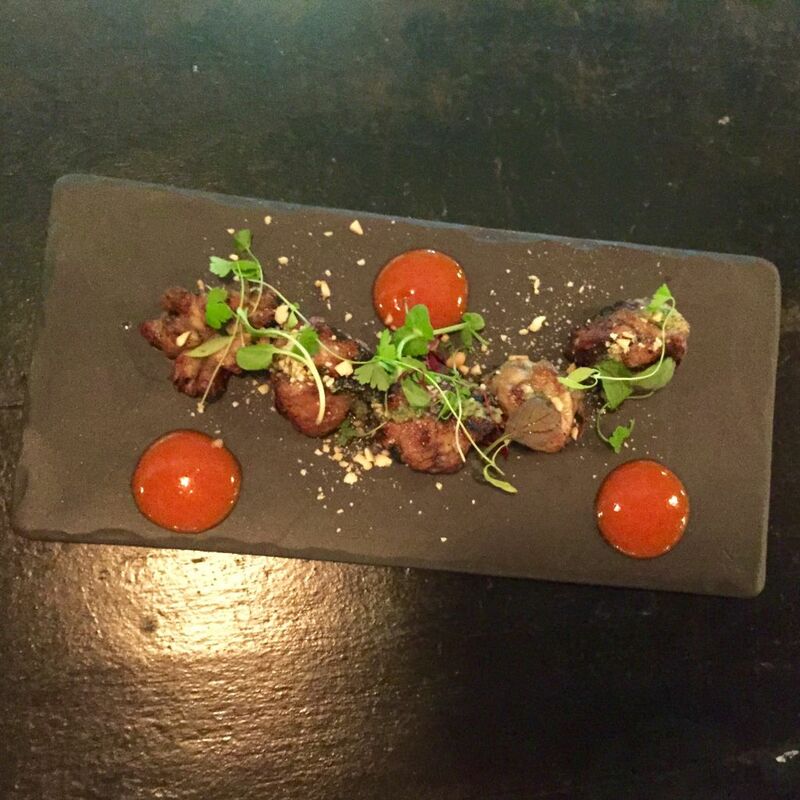 The sweetbread, otherwise recognised as meat from the neck/throat region of a calf, was seasoned exquisitely, and not overpowering the natural flavours of the red meat. Garnished with a classic Argentinean street snack, the garrapiñadas blended together the delicate meat with a caramelized peanut crunch. It was not easy for just to stick to just one serving, this plate left us craving for second and third servings. It tore my insides apart to choose a favorite. The Champagne and Strawberry Sorbet, Lemon Curd and Meringue gained an extra point only because of a personal preference for Strawberry. 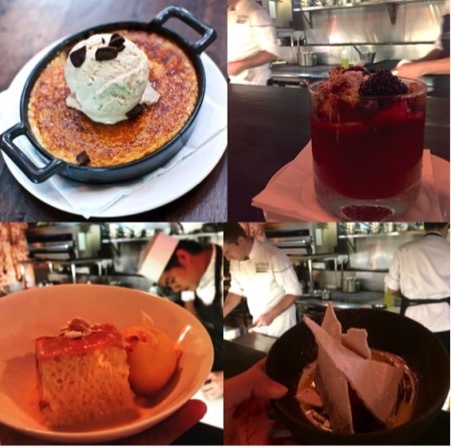 Every element on every plate (not just desserts) is made from scratch right in the restaurant, which ensures every mouthful is an oral fixation. The freshness of the food translated perfectly in the Strawberry sorbet – it was as if the strawberries were plucked moments ago and magically transformed into this amazing frozen delight. The ever classic Proveleta, Almonds and Oregano Honey. Prepared pasta filata style, it is best consumed when it arrives piping hot right off the stove. The honey and almonds added much depth to the chessy-delight and there was a mini-party happening in my mouth. 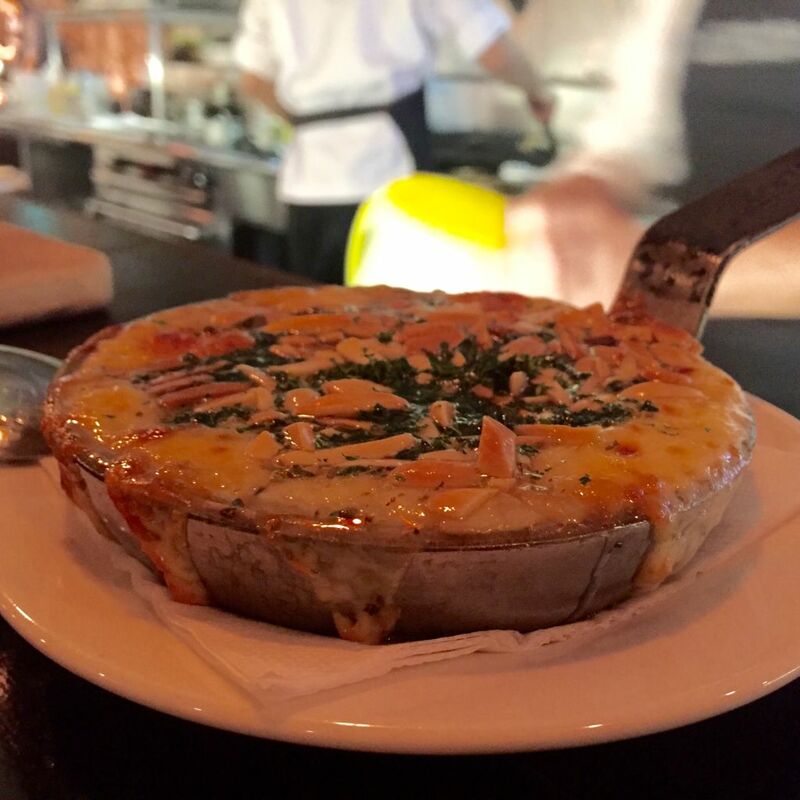 Even if you once swore to stay away from cheese, BoCHINChe’s Proveleta is one not-to-be-missed. 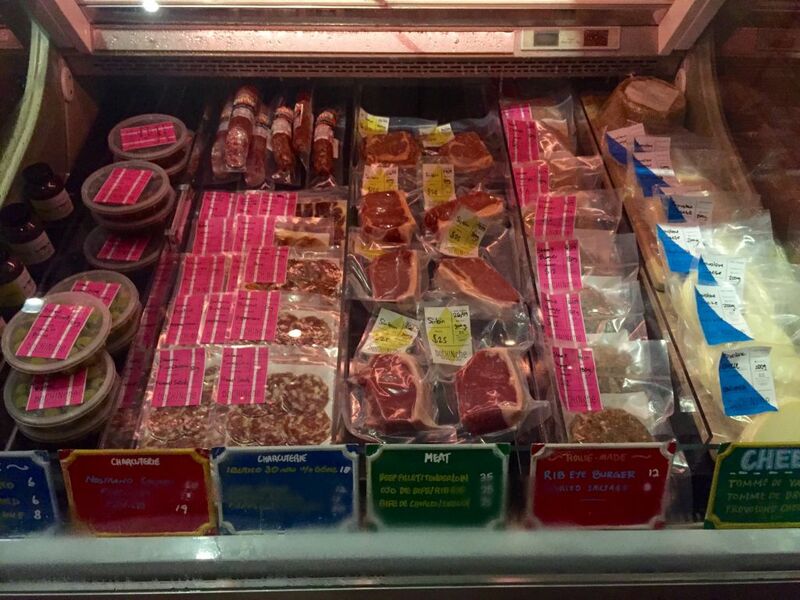 We couldn’t live with ourselves if we didn’t share with you the wonderful array of fresh meats on sale. 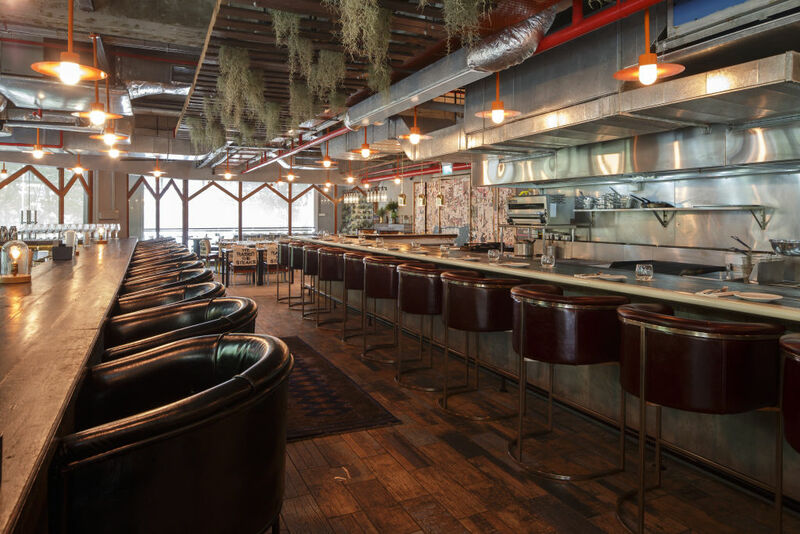 What’s amazing is that 100% of the meats sold in the restaurant is air-flown from Argentina – ensuring diners get an authentic taste of the country, without burning a hole in their pockets. Talk about royal treatment, huh. And of course, the exquisite team behind the magic – the chef and his left-and-right hand men! Photos by Jeffrey, unless otherwise stated.